Between 2009 and 2011 a very special column appeared in M-U-M , the in house magazine for the Society of American Magicians. 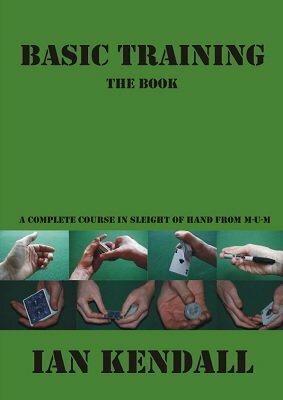 Conceived to be an introduction to sleight of hand aimed at beginners, the thirty six lessons ended up being one of the most detailed courses in conjuring to date. The topics covered included all aspects of magic; cards and coins, balls, ropes and cups, stand up and close up, interspersed with real world performance hints and tips from someone who has spent time in the trenches. This e-book version contains all thirty six Basic Training columns, plus two extra lessons on the Classic Pass and the Top Change. Download a sample of the ebook. 1st edition 2016, 250 pages.